Hello again so soon everyone! 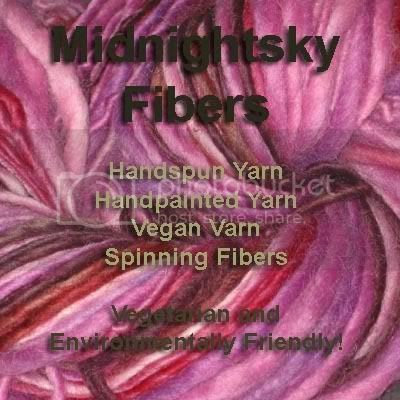 There are all sorts of new and exciting yarns at Midnightsky Fibers. We have new vegan yarns, lots of bulky wool yarns (perfect for felting, too), and new hand painted sock yarns, now in several solid colors! I LOVE LOVE LOVE your new yarns!